SAYOON DC 12V contactor CZWT200A , contactor with switching phase, small volume, large load capacity, long service life. SAYOON DC 84V contactor CZWT200A , contactor with switching phase, small volume, large load capacity, long service life. SAYOON DC 36V contactor CZWT200A , contactor with switching phase, small volume, large load capacity, long service life. 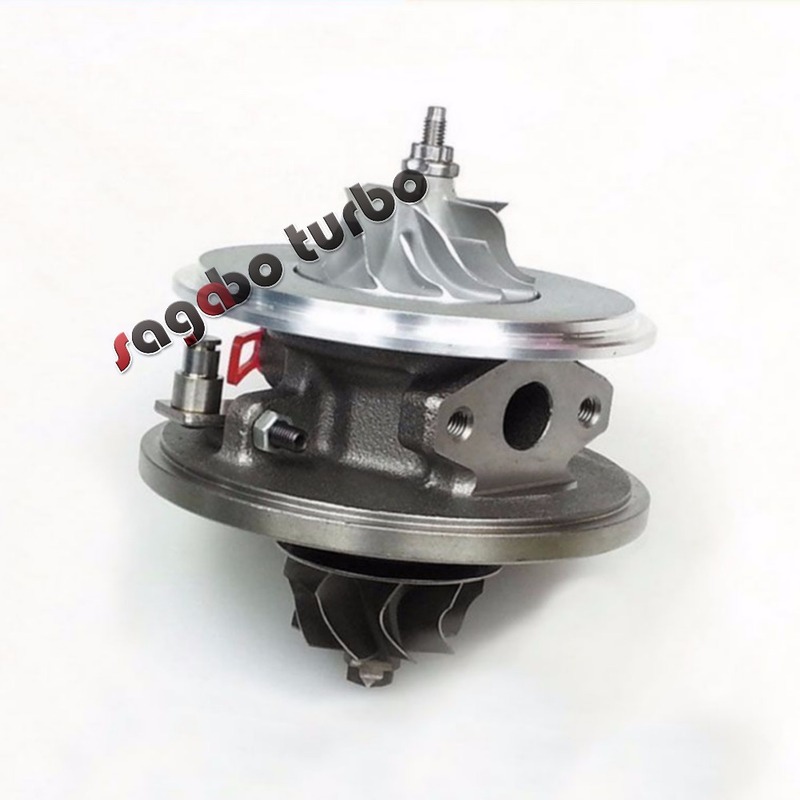 SAYOON DC 72V contactor CZWT200A , contactor with switching phase, small volume, large load capacity, long service life. 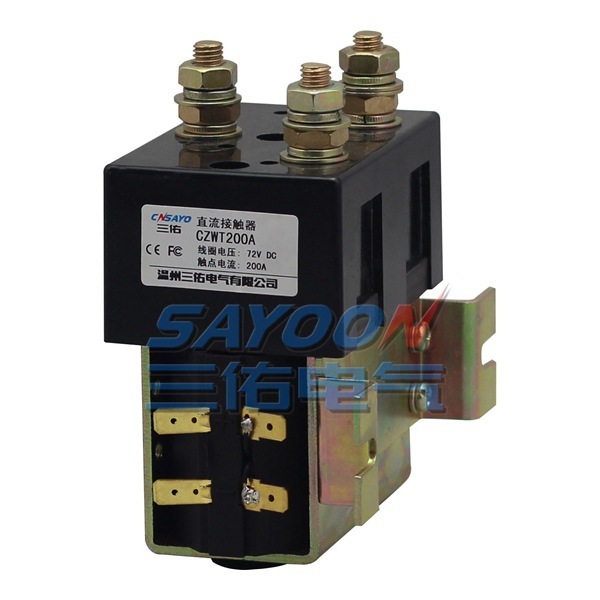 SAYOON DC 60V contactor CZWT200A , contactor with switching phase, small volume, large load capacity, long service life. SAYOON DC 120V contactor CZWT200A , contactor with switching phase, small volume, large load capacity, long service life. 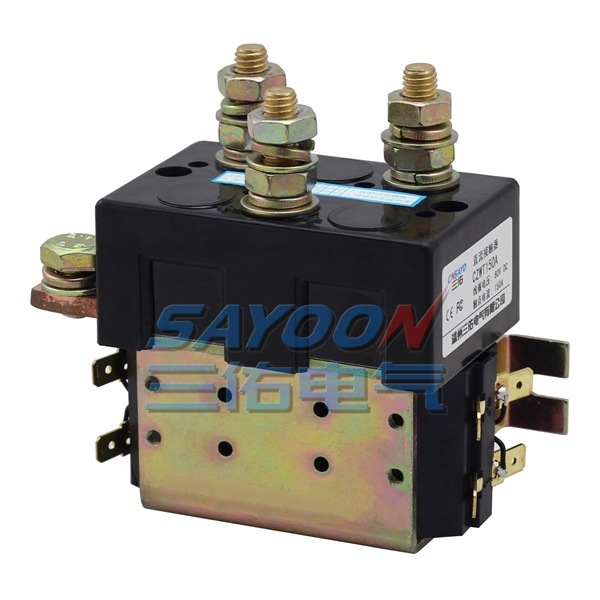 SAYOON DC 48V contactor CZWT200A , contactor with switching phase, small volume, large load capacity, long service life. SAYOON DC 24V contactor CZWT200A , contactor with switching phase, small volume, large load capacity, long service life. 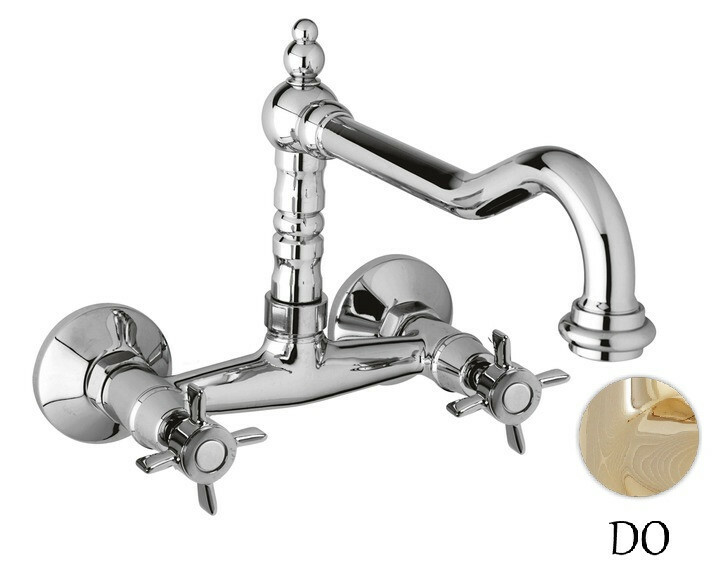 SAYOON DC6V contactor CZWT200A , contactor with switching phase, small volume, large load capacity, long service life. 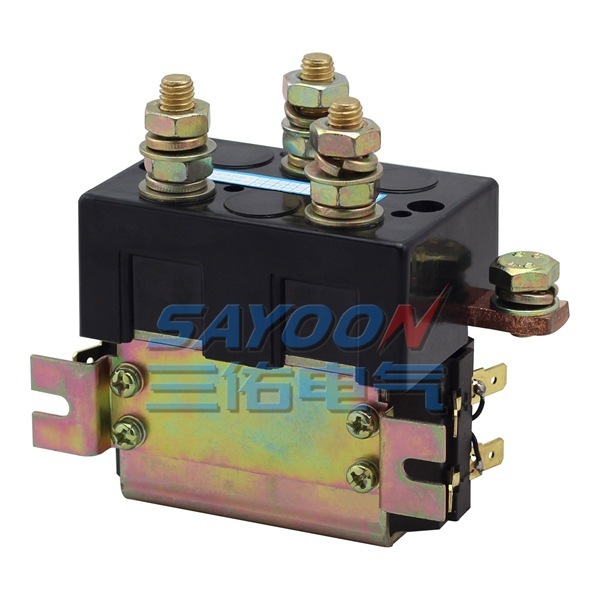 SAYOON DC 12V contactor CZWT150A , contactor with switching phase, small volume, large load capacity, long service life. SAYOON DC 24V contactor CZWT150A , contactor with switching phase, small volume, large load capacity, long service life. 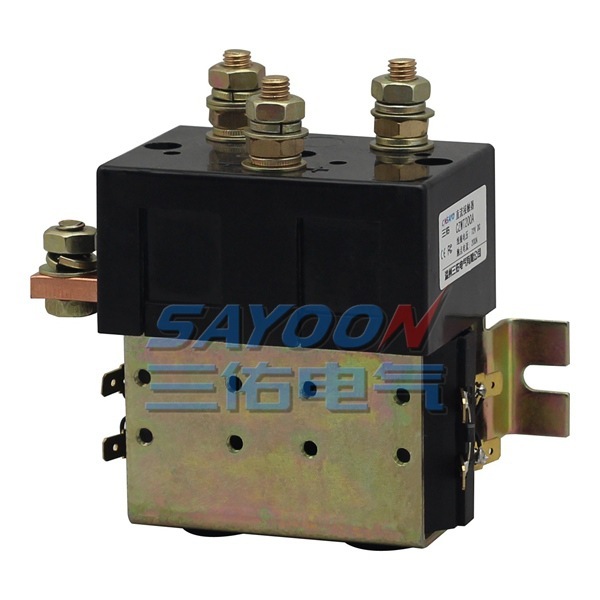 SAYOON DC 84V contactor CZWT150A , contactor with switching phase, small volume, large load capacity, long service life. SAYOON DC 6V contactor CZWT150A , contactor with switching phase, small volume, large load capacity, long service life. SAYOON DC 36V contactor CZWT150A , contactor with switching phase, small volume, large load capacity, long service life. 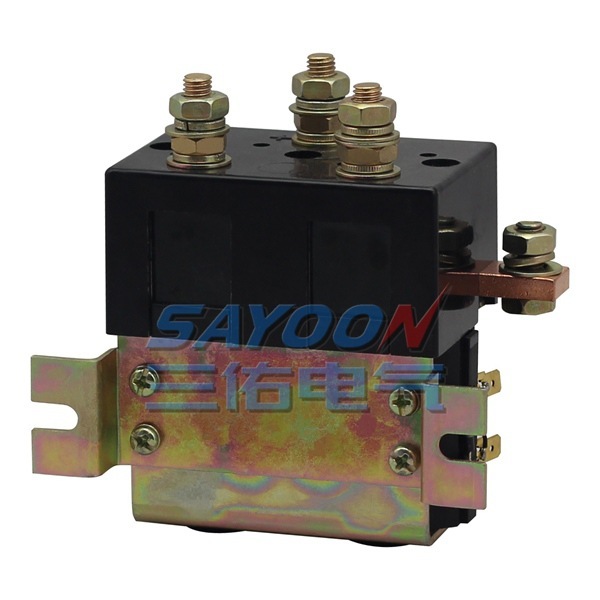 SAYOON DC 60V contactor CZWT150A , contactor with switching phase, small volume, large load capacity, long service life.